We are a voluntary group set up to support Redland Library, helping to sustain and improve its service, and also connecting it with the local and wider community. 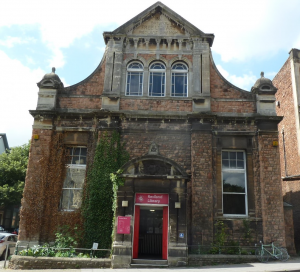 Redland Library is situated on Whiteladies Road in Bristol, close to Clifton Down Station. Full details can be found on the <Future Events> tab. Our three family history events on 23rd October, 20th November and 24th January have been a success. These events comprised a talk by Stephen Williams, followed by hands on computer time using Bristol Library’s copy of the Ancestry software. Support was provided by members of the Bristol and Avon Family History Society. All three events were sold out and we therefore plan to hold similar events going forward. The next event is being held on Tuesday 16th April and full details can be found on the <Future Events> tab.